The work of Jeremy A. Bastian’s gorgeous, nautical fairytale Cursed Pirate Girl, available for the first time ever as a coloring book. 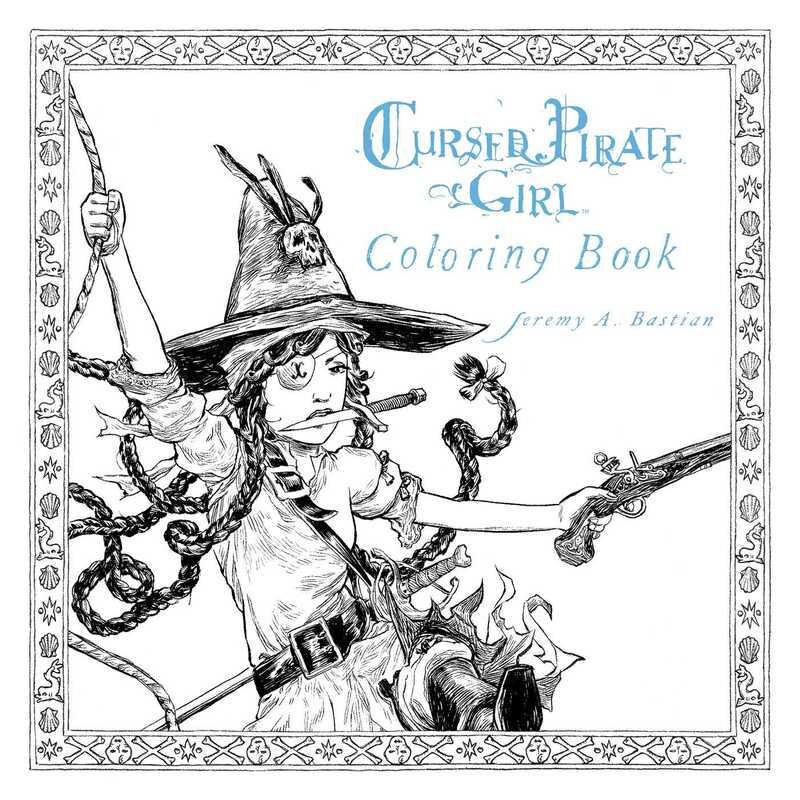 Experience the stunning world of Jeremy A. Bastian’s comic series Cursed Pirate Girl with this beautiful coloring book. Featuring over 50 astonishingly detailed black and white illustrations showcasing the environments and characters from across the Omerta Seas, readers of Cursed Pirate Girl and colorists alike can bring this world to life with the vivid colors of their imaginations. The Cursed Pirate Girl embarks on a quest in search of her father. It’s a journey filled with adventure above and below the mythical waters of the Omerta Seas. A nautical fairytale of strange creatures, whimsical characters, swashbuckling danger, and the most bizarre pirates you could hope for. It’s certain to amaze and captivate adults and children alike!